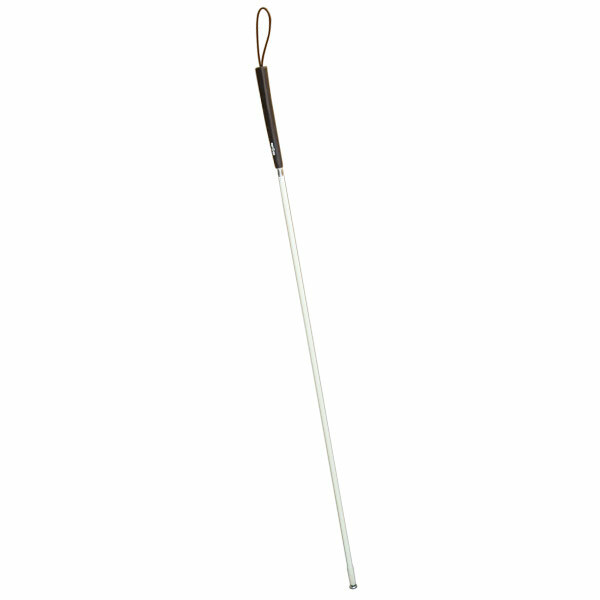 This Golf Grip Fiberglass Cane for the Blind with Glide Tip features a lightweight yet sturdy rigid (non-folding) shaft. Comfortable ergonomic rubber golf grip handle with an 11-inch long black elastic loop wrist strap. Long-lasting metal glide tip. Color: Off-White. Approximate weight is 9.5 oz. (varies depending on length of cane.) Available in lengths from 37 to 65 (in 2-inch increments.) Replacement tips available.